Juan Longganisa at the “Fresh Festival” at Metro Market!Market! Normally found at the Sunday Legazpi market, this vendor has a visually stunning array of local sausages, beautifully laid out on banana leaves and native baskets, or hanging nearby. I ended up buying three varieties to taste side by side, the results up next. What did strike me as unusual was how SMALL the portions or links of sausages seem to have become. Perhaps a result of economics, the sausages are positively puny for the most part… I can’t imagine what intestines they might be using as sausage casings… in some case, synthetic casings I suspect. Pricing wise, I took the sausages I purchased and weighed them at home, they ranged from PHP500-800 a kilo, in case you were wondering. But nevertheless, it was a nice surprise to find this selection so readily made available, and I am hoping I find a favorite new local artisanal longganisa. Why do you wish that the rents are “exorbitant”? Bertie, pardon me, I meant to type, “not exorbitant”… will edit now. Thanks. hi mm, i hope you will post your longganisa review very soon so we can make it to market market before the 20th rolls around. Hehe. 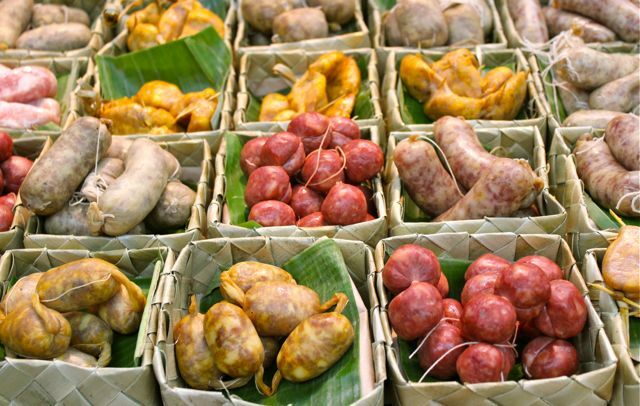 I love longganisa but there’s hardly any good ones to be found in grocery stores nowadays. Ps. My family loved the made in candy candies i bought pre-holy week. Problem is, some of them think it’s too pretty to eat! Was in mega yesterday and saw that they’ll be opening a branch across from national bookstore. Did not get close enough to the tarp to read when, though. At a glance, I thought they were varieties of potatoes on display! Love the alaminos ones; with the toothpicks. I lean towards recado versus hamondao types. 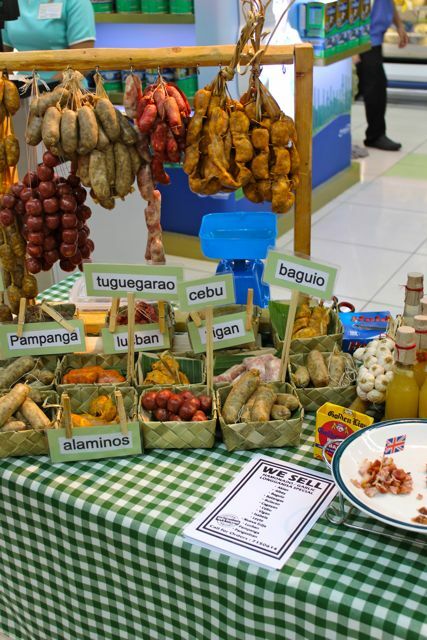 Hi Mr MM, thank you so much for featuring Juan Longganisa in your blog, and for those who love Longganisa you ca find us at the Legazpi Sunday Market from 6am-2pm, we offer all-day Longganisa breakfast meal. Juan Longganisa has a Dipasupil line up for Recado and Hamonado Baguio. Love the inbetween rekado and hamonado type. Better make some soon. Sana makahanap ako ng dried-clean intestine. Kahit na kamayin ko ang pag-stuff ng laman. Amazon sells dried pork intestines.. yehey… makagawa na ako ng sarili kong longganisa at beef sausage. @Ebba “kahit na kamayin ko ang pag stuff ng laman”. Haha, sa ngalan ng longganisa. Im sure it’s worth the effort. 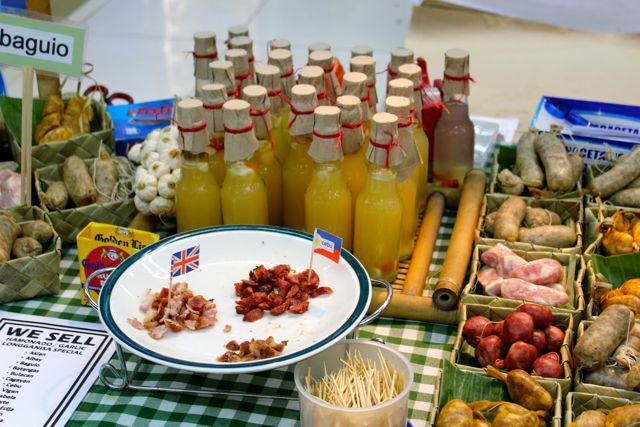 we will be a regular concessionaire at the Market Market, Taguig.